Veteran Drifter Todd Yamada had a good day on the EW getting into some feisty blimp sized bows. Best game in the region. 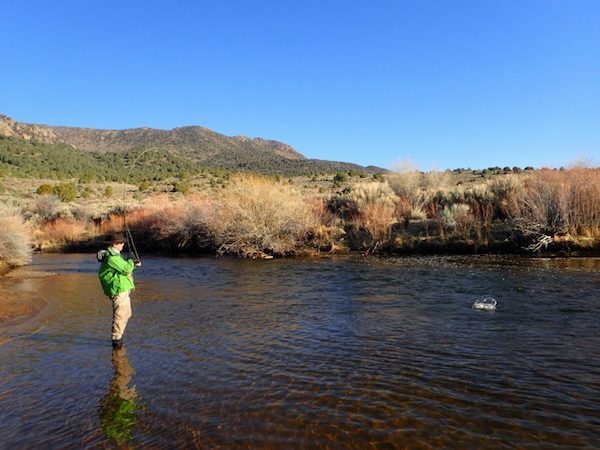 Water releases have dropped to 115cfs, with good water clarity. Last falls planted rainbows are amazingly “rotund”, & very healthy. At this water level you can find pods of rainbows in the deeper riffles especially during the emergences. Warmer weather can trigger some solid midge, & mayfly activity. Assassins, Drifters Crawlers, crystal eggs, broken back midges. Tugging streamers like Spruce-A-Bu’s, and Loebergs in the larger pools can get a bad Leroy brown to come out and attack.